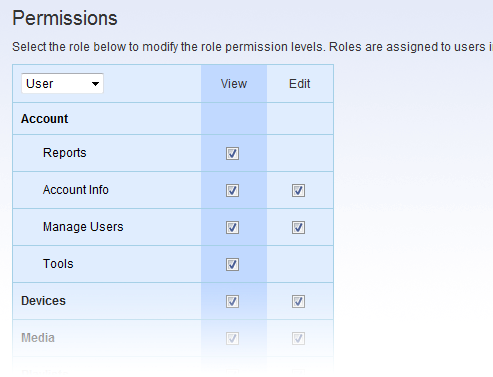 A new permissions administration module has been added to the user management section. This allows for fine grained control over visibility and access to the various sections of the website. An example application of this feature would be to limit the access of an advertiser to only viewing the media and reports, restricting access to the more sensitive information such as player devices and account information. 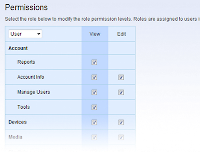 Permissions are defined on a per role basis, and each user is assigned a role when created. Roles and role permission levels can be changed at any time. We hope this provides for a clean and simple method of administrating your signage network.